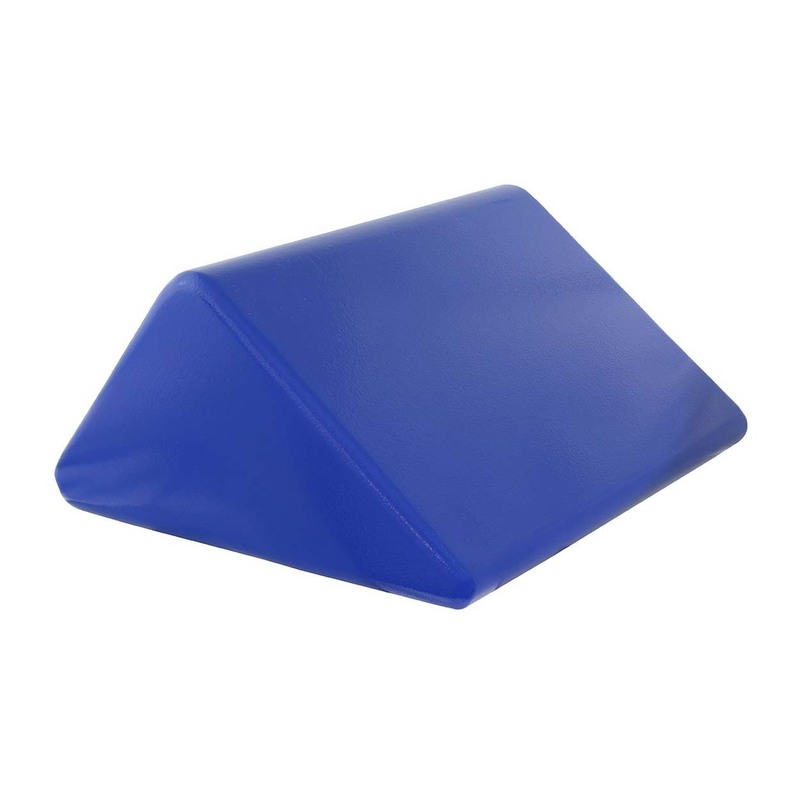 Skillbuilders knee wedge Length 13" Width 21" Height 15"
Skillbuilders positioning knee wedge is made of molded foam coated with a tough integral washable coating. Knee wedge is a heavy duty positioning and vestibular wedge which supports knees and lower legs when user is in supine position. One year warranty against defects in manufacturing and workmanship. Manufacturer reserves the right to repair or replace warranted products at its discretion. Warranty does not include any labor incurred in the replacement part installation or repair of a defective product. Manufacturer does not warrant goods that have been misused or abused. Credits for return is issued only to original purchaser. Credit will be applied to your open balance or to future purchases. No cash refund will be issued.